Thousands trust SKOPE refrigeration Adelaide, not by chance, but due to the efficiency, reliability and optimal performance their appliances offer. 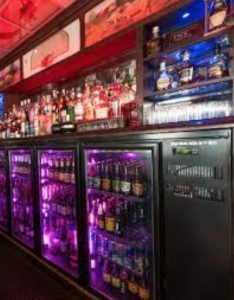 Whether it is in bars, restaurants, supermarkets, conference facilities or convenience stores, you’ll find SKOPES’s extensive range of products. SKOPES make all kinds of different refrigeration products including freezers, chillers, shock freezers, blast chillers, cool rooms and freezer rooms. With that wide range of foodservice and Adelaide commercial refrigeration products, there’s no doubt that SKOPE is a market leader in the industry and the refrigeration brand of choice. Besides the retail and hospitality sectors, SKOPE has your kitchen in mind with their range of domestic fridges. 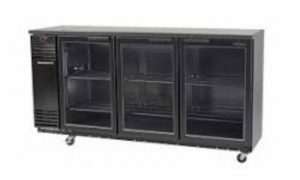 SKOPE fridges in Adelaide are a major feature in many commercial kitchens and catering establishments. The fridges have always been known for their impressive design and superior performance. Some of the more popular products include SK650, HB80 and TME1000. It goes without saying thatSKOPE’s long-standing presence in the refrigeration industry and high expectations of performance and quality are the key factors behind the aesthetic design, manufacturing excellence and efficiency of SKOPE fridges. In addition to having the latest in design and being the best in efficiency, all fridges designed and manufactured by SKOPE are highly practical, durable and energy efficient. So you don’t have to worry about high energy bills or your fridge breaking down during the hot summer days, and best of all, the fridges make your space more functional and appealing. Accutemp Services is your ideal hub for all things Adelaide SKOPE refrigeration. 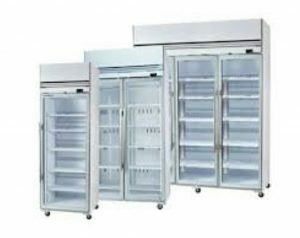 We sell, install and repair SKOPE commercial fridges, chillers, freezers and display cabinets. Our high-quality commercial refrigerators improve working environments and enhance efficiency, productivity and profitability. The products we sell rise well above the minimum performance, safety and beauty standards thanks to SKOPE’s commendable technology advancements, safety protocols and design values. What’s more, the products are budget-friendly and can be customised to suit your individual requirements and specifications. 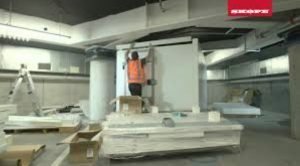 Once you purchase a SKOPE fridge, the next step is to install it. This procedure requires the right installing skills and tools. So spare yourself the elbow grease and let us do all the installation work for you. Our professionals will ensure a fast, precise and affordable process. If your SKOPE fridge is out of service or not functioning as well as it should, don’t worry, because we’ve got you covered. Our fridge technicians are always on hand to service all your refrigeration needs, may it be installation or repairs. They also offer expert advice on how to maintain your SKOPE fridge in order to avoid future repairs and replacements that may be costly. Without a doubt, Accutemp Services is your home for everything refrigeration, from sales to installations and repairs. We promise friendly prices, quality products and exemplary services. Contact us today to learn more about us and our offerings.